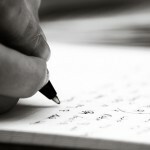 making music | Music Matters | Because it does. Doesn't it ? At the heart of the word ‘music’ lies the word ‘us.’ Whether it’s rehearsals or performances, music is a social activity; it involves people working together, rehearsing, delivering pieces and sharing their passion with listeners in live concerts. Here at Kent, members of the local community are a crucial element in our music-making, both in terms of participating as well as being amongst the audiences. Members of the local area form part of the University Chorus, coming along to Colyer-Fergusson each week to rehearse in preparation for termly concerts; they play with the University Concert Band and the Symphony Orchestra, sitting alongside undergraduates, post-graduates and members of University staff. 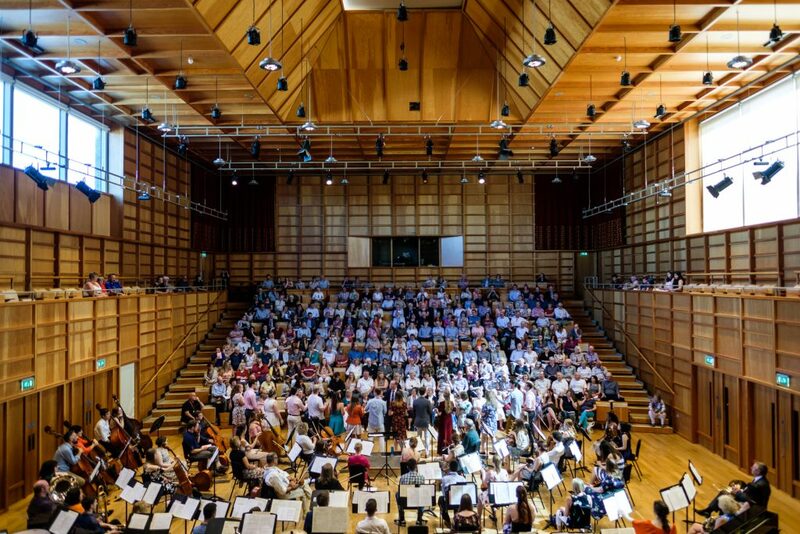 From the choral-risers to the orchestral chairs spread across the wooden floor, members of the public are very much a part of all the music-making that takes place throughout the year in Colyer-Fergusson Hall and Canterbury Cathedral. Local community also forms the listenership at our concerts; the free series of Lunchtime Concerts that takes place across the year brings top-flight professional musicians to the campus for local audiences to enjoy. Our eclectic lunchtime series ranges from folk music from award-winning groups such as FARA to leading-edge musicians on the British jazz scene, players from the Philharmonia, and professional musicians based in Kent who work amongst London’s finest ensembles. 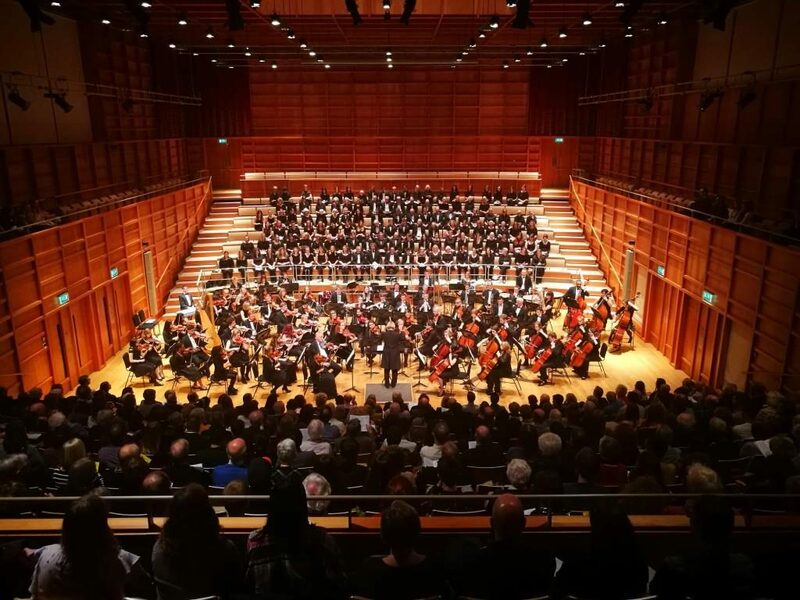 And it’s not just our immediate neighbours and local residents who participate in music-making or come to concerts; people travel from Sandwich, Bridge, Faversham, Littlebourne and Folkestone, and can be found either on the choral-risers, in the string section, or amongst the audiences. And it’s thanks to the local community that we are able to bring them to Kent. 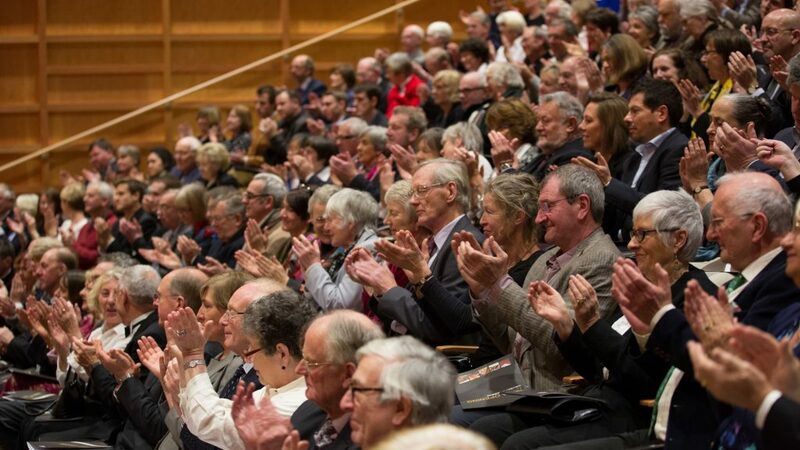 The Lunchtime Concert Series is in part supported by generous exit-donations made by audiences at the end of each concert, and we are hugely grateful for all the support that goes towards putting the concert series together each year, allowing us to bring first-class musicians to Canterbury. One of the essential elements behind the creation of the award-winning Colyer-Fergusson Building, when it opened its doors in December 2012, was the opportunities it afforded to enrich the lives not just of the University community, but for the local area too. Music-making for the local community, and including the local community; whether you’re interested in joining in or simply listening, music at the University couldn’t happen without you. Find out more about all that’s going on in our seasonal brochure here, or take a look online: we look forward to seeing you in Colyer-Fergusson soon! Passing through the University campus on a Monday night, you might just hear the voices of around a hundred and twenty people in full throttle in Italian, or French, or Latin; occasionally Finnish, Czech or German. 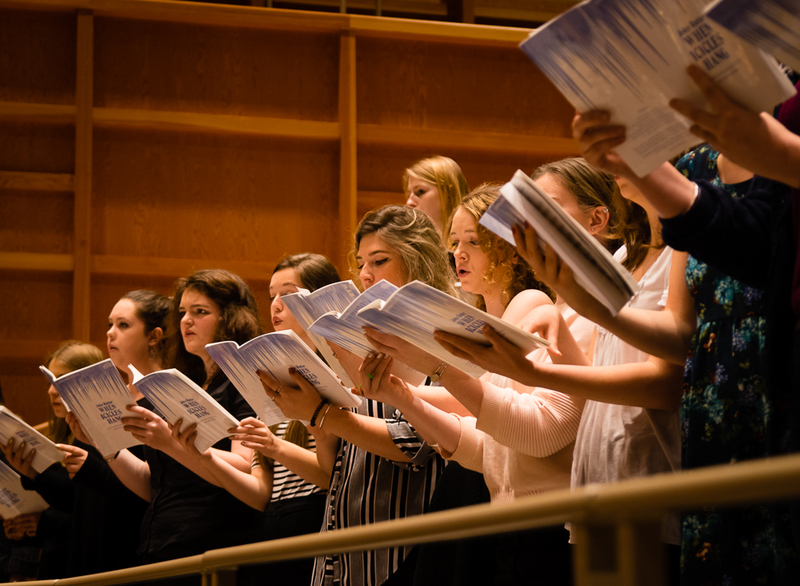 Draw closer to the open doors of Colyer-Fergusson Hall, and you will spy the combined might of the University Chorus in its regular weekly rehearsal. Drawn from students, staff, alumni and members of the local community, the University Chorus comes together each Monday night to prepare repertoire for its termly performances, two of which take place in the concert-hall, and the third in the sonorous surroundings of Canterbury Cathedral each spring, to which alumni regularly return to take part. 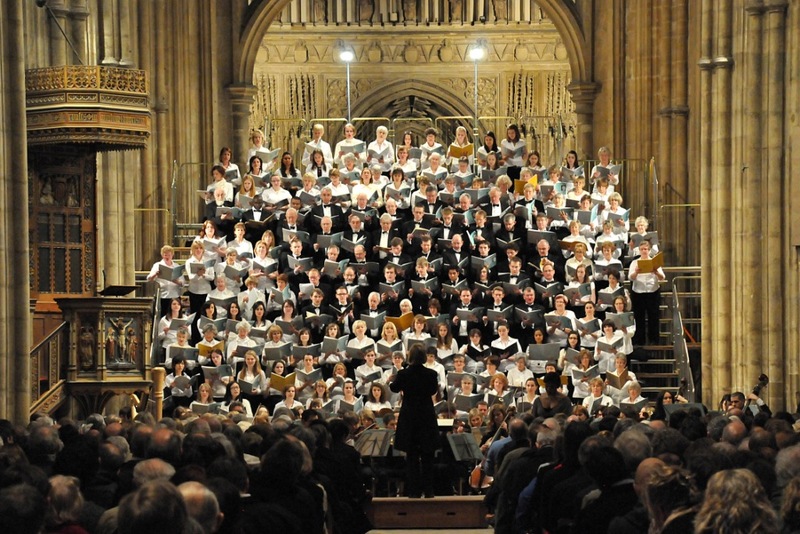 Accompanied by the Symphony Orchestra, the Chorus regularly grapples with popular titans from the choral canon – the Mozart or Verdi Requiem, Beethoven’s Missa Solemnis – as well as more unusual works, which have recently included Szymanowski’s Stabat Mater and Rutter’s When Icicles Hang. 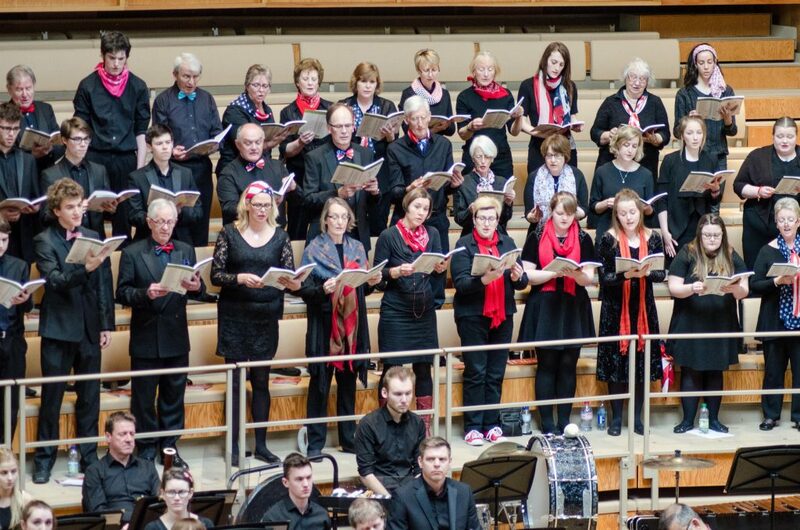 As many find, making music – and singing in particular – is a wonderful antidote to the stresses and strains of working life, and Chorus provides a welcome respite from the pressures of dissertation-thrashing in the Templeman Library or grappling with your inbox as a senior member of staff. Staff from both academic and support services can be found alongside postgraduates and undergraduates, senior administrators alongside alumni, members of Registry reaching for those top notes along with local residents. When you’re singing in Polish, or Finnish, all social distinctions are cast aside as you grapple with linguistic challenges and try to keep one eye on the vocal score and one on the Director of Music. But with a strong international flavour to the University community, there’s usually a native-speaker sitting in the choral risers who can advise on tricky pronunciation! The University Chorus started life as a fifty-strong group which rehearsed in the Senate Building, before taking up residence in the cavernous confines of Eliot College Hall, with its Monday nights in the nowhere-to-hide lack of acoustics in Grimond LT-1; nowadays, it sits in Colyer-Fergusson Hall and watches as the acoustic curtain shifts and flows according to need. Later in the year, it sits on the vertiginously-steep choral risers in the nave of the Cathedral and wonders how it can make its way safely down to the flagstone floor again… The life of a University Chorus member is never dull. Over on ‘Cantus Firmus,’ the Chamber Choir is preparing for its first concert commitment this year, the Advent concert in Blean – this week’s post sees the Choir developing a mixed-formation ensemble sound… Whilst on ‘Playing Up!‘ the tuba-playing Society President Chris Gray muses on the impact of last weekend’s workshop with the Symphony Orchestra. The Medway Music Society also had the first round of their epic ‘Battle of the Bands’ which kicked off in Coopers on Tuesday night. The months have reached November, and it’s the start of a busy period for music at the University. Over the next few weeks, we’ve lots of events coming up, of which the the first is a lunchtime recital by the internationally-acclaimed pianist, Benjamin Frith, returning to the Gulbenkian with Mussorgsky’s mighty Pictures at an Exhibition. 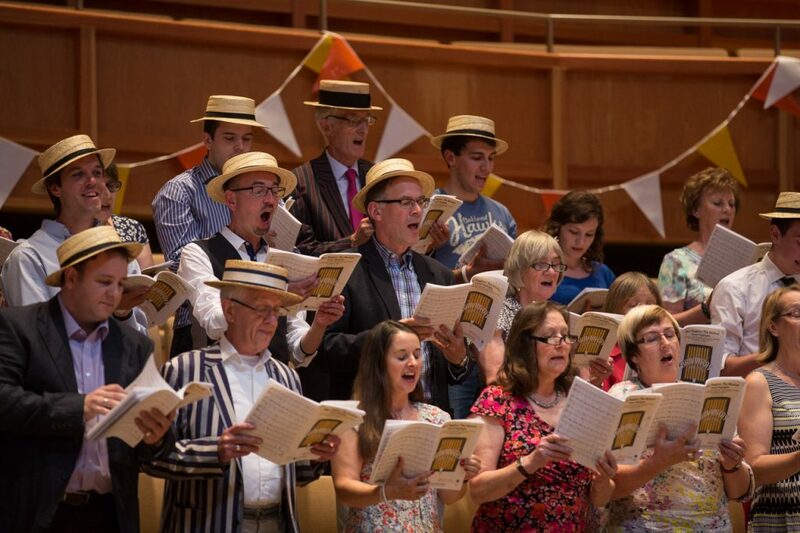 Then it’s time to raise your voice for charity, as the Gulbenkian opens its doors to the annual ‘Sing for Children in Need;’ turn up with a donation and sing Handel’s rousing ‘Hallelujah Chorus’ in aid of a very good cause. Towards the end of the month, the Chamber Choir will launch the Advent season in their ‘Music for Advent‘ concert in Blean; a sequence of music and readings to begin the Advent period, with proceeds for the concert in aid of Blean Church Restoration Appeal and Blean School Playground Improvements. This Sunday, the Symphony Orchestra has its weekend workshop in preparation for its December concert with the Chorus. Also this week the Cecilian Choir forms for the first time this year, as we begin our rehearsals for the ‘Cold Concert‘ at the start of next month. On the beat: Concert Band, Big Band and Orchestra rehearsals begin this week! If you’re a budding instrumentalist, then don’t forget that rehearsals begin this week for the University Concert Band, Big Band and Symphony Orchestra. All wind, sax, brass and percussion players are welcome in Eliot Hall tomorrow night, as the Concert and Big Bands swing into action. On Thursday evening, the Symphony Orchestra begins rehearsing in Eliot Hall. All string players above Grade 6 welcome; wind and brass players can come along and play and will also need to sign up for auditions at the weekend. Full details of all the rehearsals can be found on-line here, and the complete Concert Diary for the term here. Don’t be brassed off: join in. With the heady excitement of Freshers’ Week behind us, this week sees the musical gears of the University begin to grind into action. Tonight, the Music Social gives students new to the University the chance to meet this year’s Music Society, and find out about all the music going on this year; it’s your chance to network like-minded musicians, from string and brass players looking to form quartets to singers wanting to audition for Chamber Choir or join Chorus, lovers of ‘Glee’ to find out about Sing! or form their own ensembles, or guitarists and bass-players looking to form a band. Free refreshments, musical entertainment (and possible even a quiz); tonight, Eliot Hall, 7.30pm. On Wednesday, Concert and Big Band swing into action: Concert Band rehearsals begin at 7.30pm, Big Band at 8.45pm, again in Eliot Hall. On Thursday, the Orchestra stirs into life: string players at Grade 6 standard and above welcome, woodwind and brass players may also come along and will need to sign up at the end of the rehearsal for principal player auditions this coming Saturday. Next week: Chorus and Chamber Choir. More details on those two soon. Freshers’ Week is but three days away now, and the Music Department is drawing breath before the musical merry-go-round begins in earnest. Starting next week, auditions and interviews will begin; Freshers’ Fayre welcomes new and current students alike on Thursday, so keep an eye out for members of the Music Society, Music Theatre Society, RockSoc and others clamouring for your involvement this year. There’ll be copies of this term’s Music brochure and the ‘Getting Started’ guide to first rehearsals at the Music Society stall, and members of the committee will be on hand to answer all your questions about the forthcoming musical year. 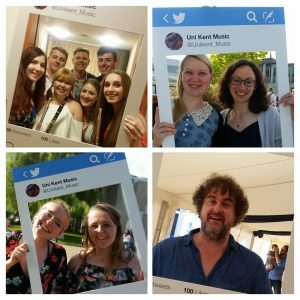 The Music Social takes place on the following Monday: come to Eliot Hall at 7.30pm on 26th September to meet members of the University’s musical committee – there’ll be refreshments, entertainment, and a chance to find out more about what goes on. Brochures: check. Leaflets: check. Laptop: check. Wireless connectivity: check (finally, thanks Sarah Y!). Scholarship information: check. But there’s something missing, something crucial. Oh wait: Revels! Check. Phew. 2pm: heading into the final hour, further visitors from Cambridgeshire, Chelmsford, Surrey, and the Revels are running low, a sure sign the end of the Open Day is in sight. If all the visitors translate into students here in 2012, our Concert and Big Bands and choirs are going to be bursting, Music Theatre Society will be awash with soloists and RockSoc inundated with guitarists and bass-players. Bring it on!